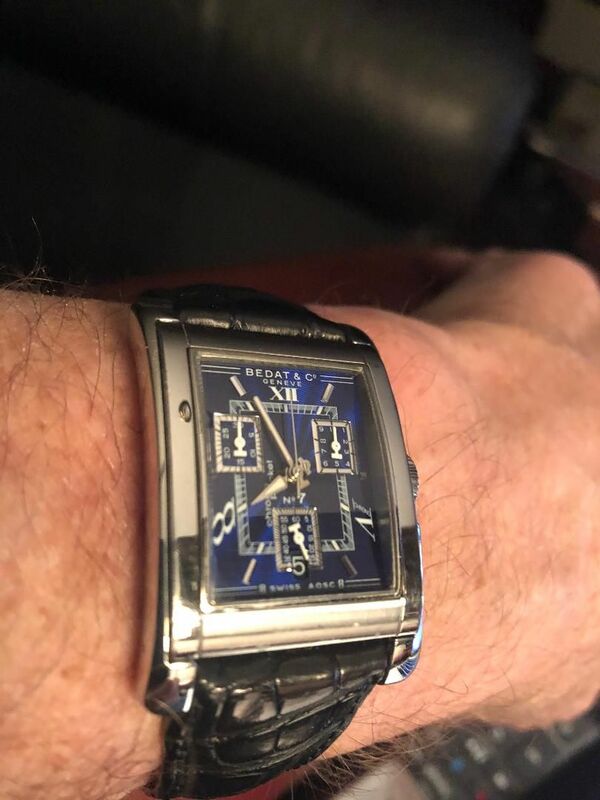 Sweet chrono, Kurt - I'll play too. Nice Mike! You have two of these right? I picked up the Pontvs Hydra first and then the Nessi. Nice, I like them both! 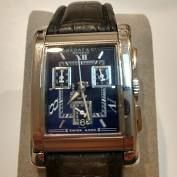 Hey there Kurt and Mike, I'll join in if I may, great watches, I'd love to see a close up of the guilloche on that Bedat. As you would imagine we're all looking on with some interest at the results of this mid-term. It's good to see a big voter turn out, great for the democratic process. I hope it bodes well for all my forum friends in the USA. 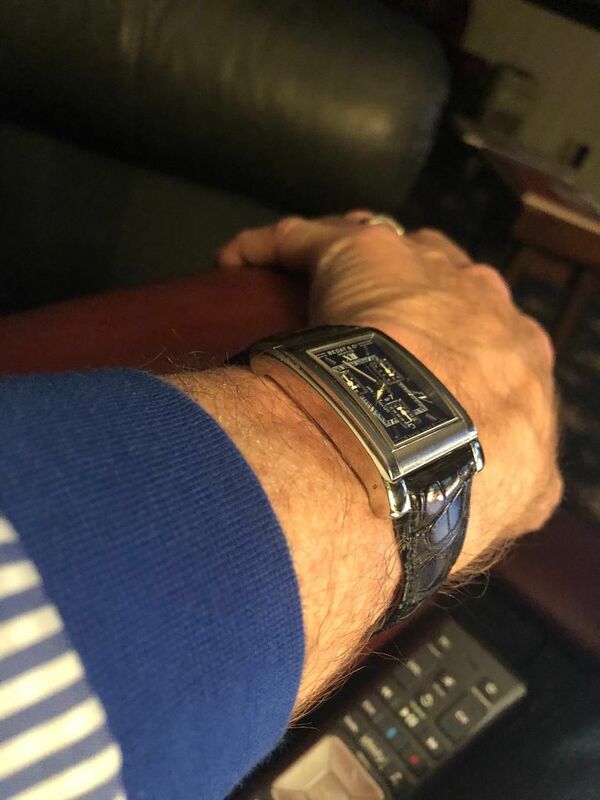 I'm wearing an Alpine series Rado produced at roughly this time of year back in 1973, what a different world we lived in back then! Apart from a nicely decorated ETA 2824 the Alpines also featured various unusual internally faceted acrylic crystals, easily scratched but also easily polished. Last edited by Tim. ; 11-07-2018, 05:03 AM. 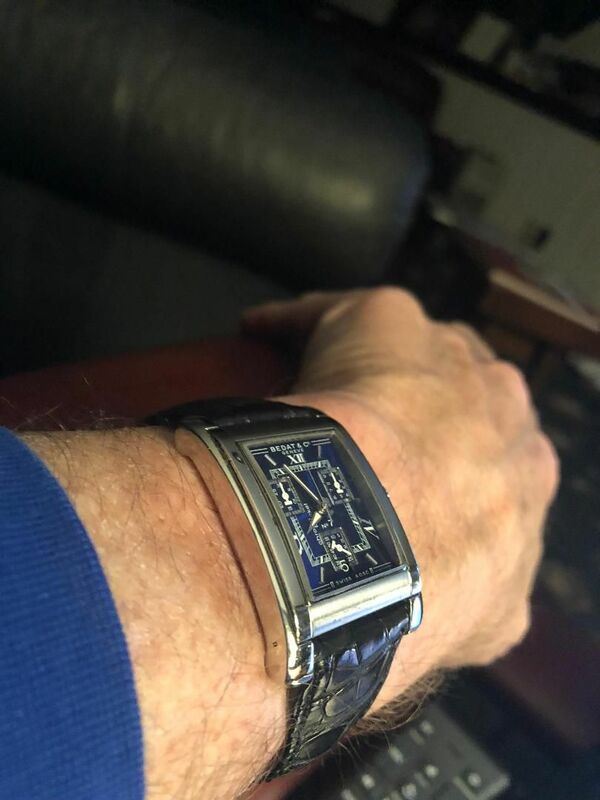 Very cool vintage Rado, Love the faceted crystal and chunky markers. I've never owned a Rado, but I may have to give one a go in the near future. They do make some nice divers too. Thanks Kurt. What I mean is, the underlying pattern that we can see on the top rhs of the dial in that first photo. Thanks, it must be the lighting, there is no guilloche. Coming late to the party. Only gave the returns a passing glance. 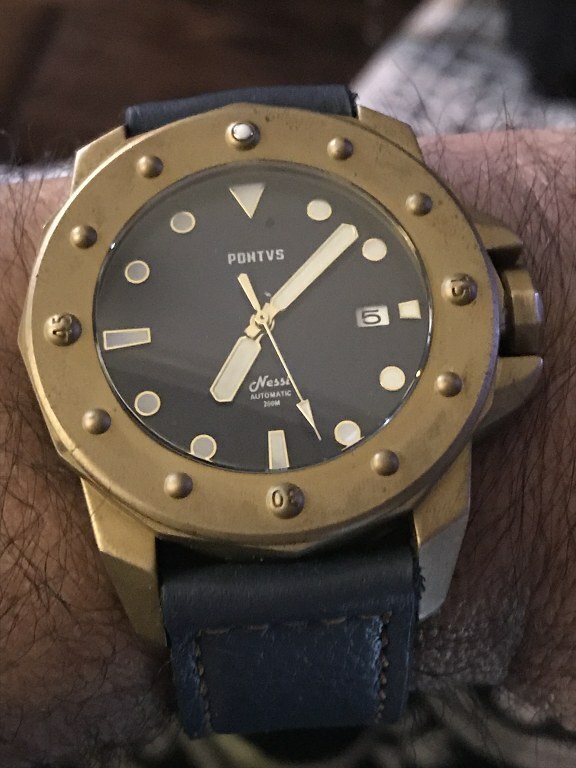 However, I was wearing this one and still am: a Watchco SM300. Movement has a few quirks, but it runs well after setting. Nice, George - wishing I had bought a few of those when the prices were more reasonable - now, they seem to have gone up significantly. 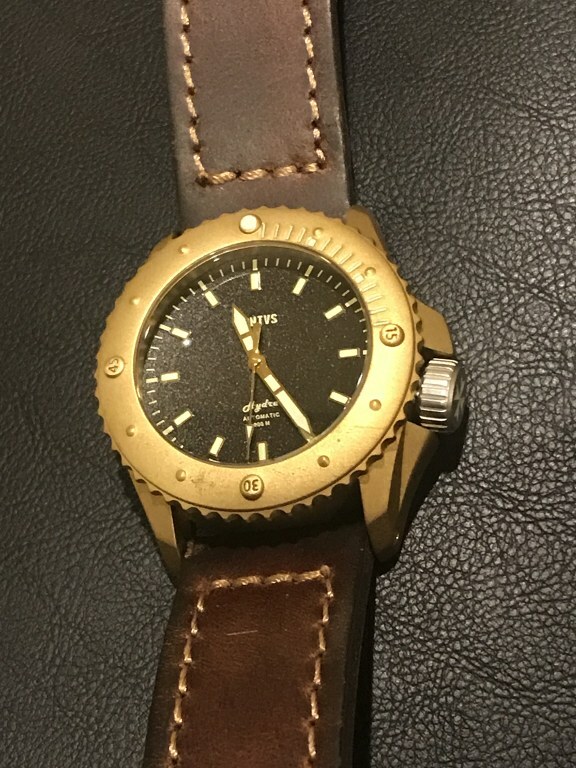 Since Watchco went out of business, prices have skyrocketed. I was very lucky on this one, otherwise I couldn't have afforded it either.